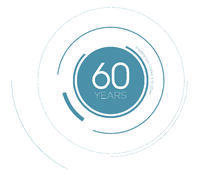 2016 marks the 60th anniversary of Duncan Aviation. Longevity like that in business aviation is unique and can’t be ignored. The fact that my family has supported the industry for 60 years is different. The way we have responded to customer needs is different. And the caliber and resourcefulness of our people is different. Our ingrained culture of responsiveness has ensured a continual evolution that has allowed us to change with and sometimes push the industry. When a customer makes a comment about something that could be improved, we research it, analyze it and look for a better way. When a team member sees a process that could be completed more efficiently, we empower them to explore the options and lead the charge. And when a customer asks us to provide a new capability, we work with industry leaders and partners to make it happen. When asked, we have acted. As we all know, though, companies don’t take action. It’s the people within the company that are responsible for the innovation. And the people who have helped make Duncan Aviation the company it is today certainly deserve the credit. Whether that person is a new or long-time team member, customer or industry partner, that catalyst for change deserves to be recognized. So we will begin publishing stories about how the people of Duncan Aviation have responded to requests for six decades. We will celebrate with these stories throughout 2016. And if you’ll be in Las Vegas for the NBAA Convention November 17-19, be sure to stop by Booth #N4910 to see our new booth design, to talk with our technical experts and to make suggestions of things you would like to see in your service experience in 2016 and beyond. Together, we can continue to provide an experience, unlike any other.